Few places in the world can today boast a history as fascinating, rich, and sometimes, brutal, as the one in Japan. In the time of today, Japan is known as one of the most technologically advanced, peaceful countries in the world. It a country home to technological advancement, progress, and an incredibly resilient and intelligent population. Much like every other story of a great and powerful nation, however, there are chapters in Japan’s history that might be difficult to tell, given current cultural contexts. It is still necessary to learn, though, for those who ignore and will away their own histories, as they say, are doomed to repeat it. Thus begins the story of Imperial Japan in its prime – how it came to be, and how it fell into what is now known as the state of Japan, affecting the lives of every Japanese person. Imperial Japan – sometimes, others more commonly known as the “Empire of Japan” or the “Great Japanese Empire” (Dai Nippon Teikoku) – was the historical nation-state that existed between the periods of the Meiji Restoration (1868) until 1947, when the current Constitution of Japan came to be and marked the end of the once great empire. Others call this empire the “Empire of the Sun”, due to the direct translation of the kanji characters as well because of the design on Imperial Japan’s flag. A great and powerful country that flourished under the era of industrialization, the emergence of Imperial Japan came to be because of a strong militarized nation. 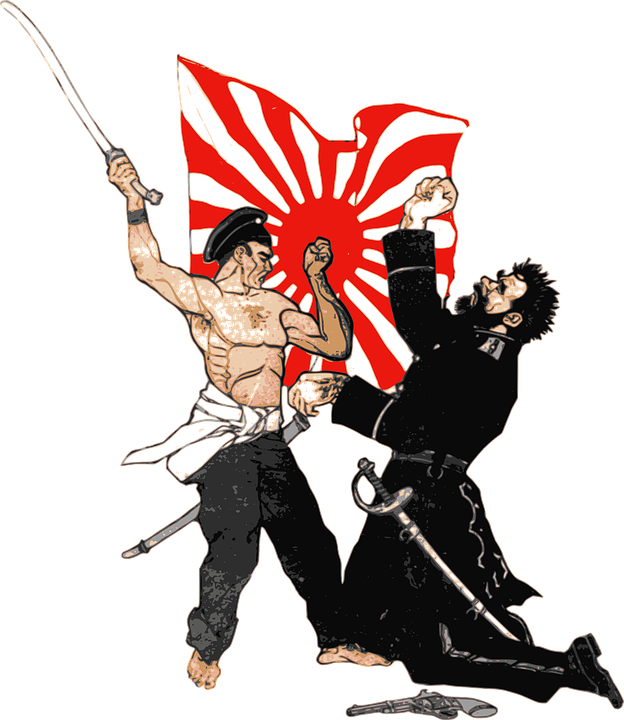 After all, the slogan “Fugoku Kyohei” (Enrich the Country, Strengthen the Armed Forces) led the country, its people, and ministry into a powerful force to be reckoned with – one that even established a colonial empire that took over other Asian territories as its own. In the rise of militarism, in a period of great economic and political strife, Japan became a part of the Axis powers and was responsible for the conquest of a significant portion of the Asia-Pacific region. They had a strong military foundation as well as significantly powerful navy, which allowed their conquests to bear fruit in this state of war, for a long amount of time. During the time of Imperial Japan, the country knew three emperors of its existence, before it then became the modern state of Japan that it is today. Emperor Meiji (Mutsuhito), Emperor Taishō (Yoshihito), and Emperor Shōwa (Hirohito) are their posthumous names and this is what they are now more commonly called. Japan has always been a strong pioneer of progress, throughout history. Their abundance in steel, for example, made them a fierce trade center for those who specialized in weapons and firearms. They were a strong, economic powerhouse despite the geographical size of the country itself and they were fiercely protective of their culture and history – and they still are, to this date. When Japan went into a state of seclusion for two centuries – a period known as Sakoku – the country then found itself forced back into the international trade after the Convention of Kanagawa in 1854. Prior to this, Japan kept to their own and this was thought to foster a national idea of supremacy or borderline fanaticism within the country’s own borders, for the population was barely exposed to external influence during this time. Xenophobic ideations were rampant throughout this period as the Emperor, in March 1863, even ordered the Shogunate to “expel the barbarians”. While the Tokugawa Shogunate, otherwise known as the last feudal Japanese military government, did not carry out the order, the Emperor’s orders thus inspired violence and attacks against the Shogunate as well as foreigners who were living in Japan. This was the radicalized population that was ever-present when Emperor Emperor Kōmei passed away in 1867 and his son, Crown Prince Mutsuhito (Meiji), succeeded him for the thrown. So then began the Meiji Restoration period – the beginning of Imperial Japan – for it declared the restoration of the Emperor’s full grasp of the power of the country. The Boshin War thus began shortly after the young Emperor ordered the dissolution of the centuries-old Shogunate. His rule was faced with much struggle, as well as many attempted coups. After many battles, Yoshinobu (the then leader of the Shogunate) surrendered and he was then removed from all his military power. Following the Meiji Restoration came the annexation of Korea in 1910, after the Russo-Japanese war and Japan found itself fighting the Russian Empire, and so from August 22, 1910, until August 15, 1945 (de facto September 2, 1945, upon the surrender of Japan itself after the end of World War II), Korea found itself without internal administration for Japan was granted extraterritorial reign over the land. During the First World War, Japan seized the opportunity to declare war on Germany in 1914. In 1919, however, when Japan sought to include a clause regarding racial equality with other Western nations, it was rejected – this was thought to be one of the foundations in Japan’s decision to later separate itself from the Western ideal and geared itself more towards internal policies that catered only to nationalistic ideals. By the 1930s, however, Imperial Japan found itself in need of more resources such as iron, rubber, and oil. They needed these imports – found primarily in the United States of America – in order to keep a hold on their economic prowess. This need began the expansionism that began during the late Shōwa period from 1931 until 1945. It was during this expansionism era that the Great Japanese Empire invaded Manchuria and China (where Japan established a puppet state in both places in order to seize and grow natural resources and their own labor force), and they also clashed with the Soviet Union in 1938 when the Japanese 19th Division went into territory that was already claimed by the Soviet Union. In the battle that ensued in late August of 1939, however, George Zhukov took advantage of the Soviet Union’s superior forces and artillery, which resulted in the heavy loss sustained by the Japanese. In accordance with the Great Empire’s desire for “racial equality”, Japan cast away Jewish people from their claimed territories in China and Manchuria, as well as their own land of Japan. And as this behavior continued to grow, and animosity between Japan and the United States worsened, Japan sided with the Axis Powers during the Second World War, alongside Nazi Germany and Fascist Italy. It was in their best interest to preserve and maintained their “ideal world order” that assigned Germany and Italy as the primary powers in Europe, with Japan leading the Asia-Pacific region. It was a short-lived war as Japan surrendered, which then ended World War II after the United States bombed Hiroshima and Nagasaki. The Soviet Union also declared war on Japan, which led to the Emperor at the time, Emperor Hirohito, to admit defeat. This then led to the period of time known as “Occupied Japan”. This was when the Empire was resolutely dissolved, the Japanese adopted a main parliamentary system of governance, and the Emperor became only a symbolic title. Many years later, Japan is still paying reparations for the many war crimes committed during this period of time but its people and its government have shown remorse for their actions, and teach the atrocities of this time period to their people to this day, with the fervent hope that this kind of violence will never happen again. 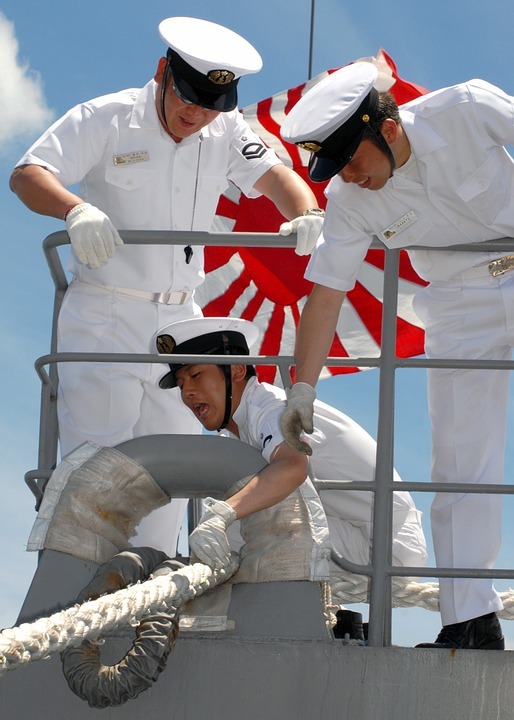 Many people today only know Japan’s iconic white flag with a large red circle in the middle to be the flag. The thing to know is that during the period of the Great Japanese Empire, or Imperial Japan, is that this was not always the case. In Imperial Japan, the flag used to depict a large red circle with rays protruding from it – it was called the “Rising Sun Flag” (Kyokujitsu-ki) and past feudal warlords designed and used it during the previous era, known as the Edo period, as well as by the Navy. Due to the nature of how Japan occupied different territories within the Asia-Pacific region, the map during this period Imperial Japan is difficult to pinpoint without a specific date in time. Japan, however, occupied many countries and territories throughout its Imperial rules such as the Philippines, Manchuria, Singapore, Hongkong, and even parts of China. Japan also established a puppet state in Korea, which was then abolished after their surrender in 1945. As previously stated, the era of seclusion that Japan experienced prior to the Meiji Restoration grew an ideology of nearly extreme nationalism. This grew when the reverence towards the Emperor took a more forceful turn as he then assumed a greater power of the land and their occupied territories. It was smaller battles and coups that grew the then Great Japanese Empire into growing a nation that fostered and fed the idea of “racial purity” or superiority – as well as animosities against other former trade partners like Russia and the United States. And so, when World War II began, Japan took the side of Nazi Germany and Fascist Italy which resulted into one of the most brutal and violent wars known in the history of mankind, resulting in the death of millions of people in less than a decade. To this day, Japan still pays reparations to the many war crimes committed during this heinous and truly horrible time in history. Imperial Japan, during the height of World War II, held primary control over the Asia-Pacific region while Nazi Germany and Fascist Italy held most of Europe and the rest of the Western hemisphere. Some of the more notable attacks made by the Japanese Empire was the one at Pearl Harbor on December 7, 1941 – and it was this attack that led Adolf Hitler, the Führer of Nazi Germany, and Benito Mussolini of Italy to declare war on the United States as well, which then involved the USA into the growing Western conflict. Through Japan’s seizure of Asian territories, they tried to establish “Asia for Asians” or a “Greater Asian Co-Prosperity Sphere”, concentrating primarily on South East Asian territories that had been previously under European influence – countries like India, Singapore, and the Philippines. As Japan had previously conquered the Chinese, the populace was not too keen to see their return to power in their homeland and so the Chinese were vehemently against a returning Japanese occupation. Hong Kong, however, surrendered to the Japanese in the December of 1941. In the Philippines, they seized the Filipino-American force which then resulted into one of the worst American losses as it resulted in the capture of over 70,000 war prisoners, Filipinos, and Americans alike. Singapore was the next to fall in 1942. Due to the Chinese’s resistance to Japanese occupation – once Japan had enough of a hold in territories – they performed a kind of purge of ethnic Chinese in Malaya and Singapore. The death tolls are believed to be upwards in the range of tens of thousands of ethnic Chinese people. Soon after, however, Japan quickly began to fall. It was the loss of resources as well as insurmountable losses from the liberation of the Philippines from Japanese hold in 1945 after General MacArthur’s forces returned and they landed in Leyte in October 1944. After the Battle of Iwo Jima, and the Marines of the United States had claimed control over the Ogasawara Islands that marked the beginning of the end of the Great Japanese Empire. The air raids over Japan – targeting the cities of Hiroshima and Nagasaki – were an effort to decrease the morale of the Japanese people, as well to decimate some of the most powerful cities in the country. 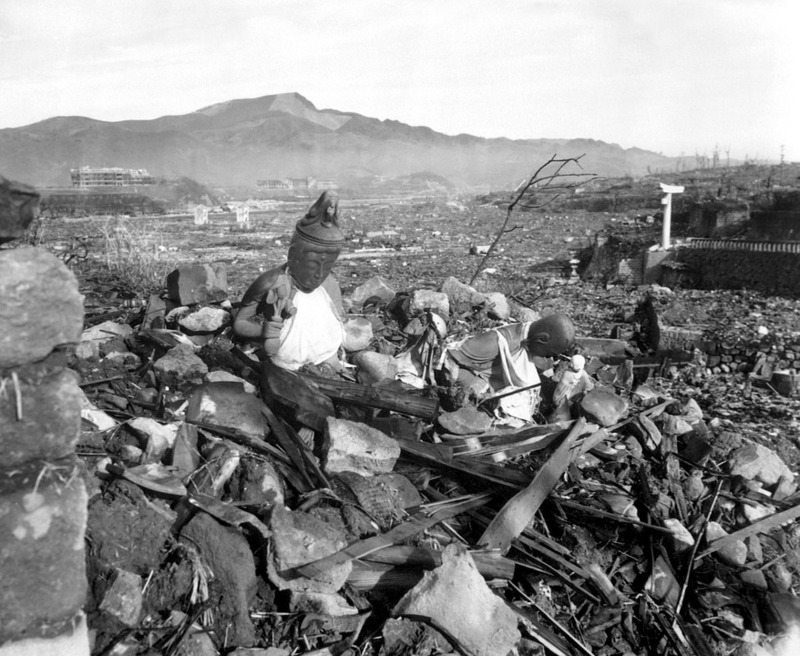 An estimated death toll of 350,000 to 500,000 people died in 66 separate bombing; 100,000 reportedly died in Hiroshima; 80,000 reportedly died in Nagasaki after the atomic bombs. The Soviet-Japanese War that then resulted after the bombings led to Japanese losing their Manchurian territories – and after that, the Empire was simply no more. Emperor Hirohito declared the surrender of Japan on August 15, 1945 – which was formalized and signed on the September of the same year. Who Was the Leader During The Imperial Period of Japan? 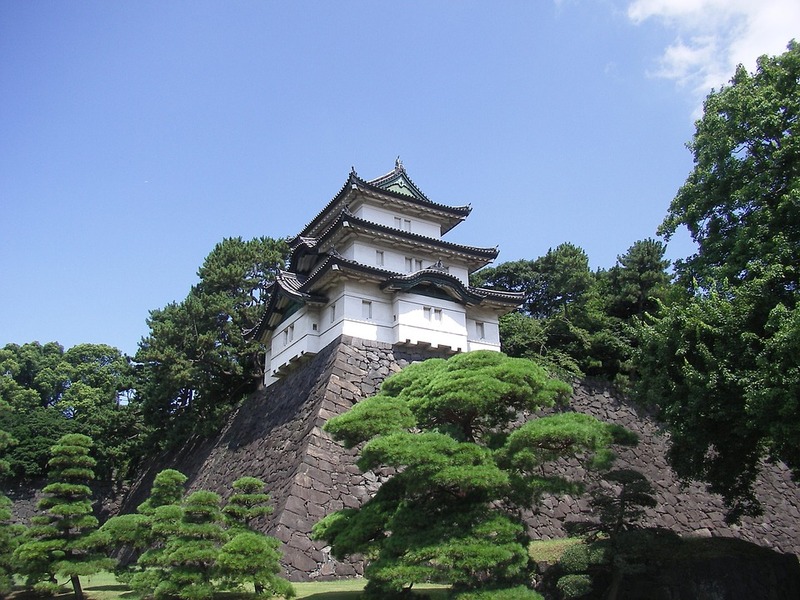 During the Imperial Period of Japan, the country knew three Emperors. Emperor Meiji (Mutsuhito), Emperor Taishō (Yoshihito), and Emperor Shōwa (Hirohito) were the ones who ruled over the Land of the Rising Sun during this period. Prior to the establishment of the Great Japanese Empire, the Shogunate held a significant amount of political and governing power, as was customary during the last centuries of the Edo period. Feudal warlords did not take too kindly to the new Emperor, the previous Crown Prince Mutsuhito, assuming complete power for the emperor. Many feuds and attempted coups resulted in the next few years – following the Emperor’s xenophobic ideals that he was spreading towards the general, already isolated populace – and this grew the idea of militaristic and nationalistic pride, which paved the way for the country’s actions that led them into World War II. The Army of Imperial Japan had much to boast of as, in 1931, they had the strength of nearly 200,000 men and were sectioned into 17 different divisions. By 1941, after they had seized many other territories and had time to expand their army, the army had upwards of 1,700,000 men and 51 divisions. Their army had the advantage of immense skill, intelligence regarding strategy, as well as incredible loyalty to their Emperor, their ideals, and their country. Their navy was also impressive enough that during the beginning of the first World War, they were able to hold their own against German fleets. What was the Imperial Anthem of Japan? From 1888 until 1945, “Kimigayo” was regarded as the national anthem of the Great Japanese Empire or Imperial Japan. It translates into “His Imperial Majesty’s Reign” and it still remains to be the national anthem of the state of Japan – or more commonly known as just Japan. Its lyrics are some of the world’s oldest as well as one of the world’s shortest. Though the government adopted a parliamentary sense of governance – with many a minister that holds power over the decisions of the country as a whole – the song was voted and recognized as the still-standing national anthem of the great country.